Paula Deen, best known for her homestyle cooking slathered covered and smothered in buttery goodness, has admitted to saying the “N” word a few times. In a deposition posted online (read transcript HERE) Dean admits she’s said it but that she only used it for “bad’ Black people. Honestly, who hasn’t said inappropriate racial slurs a time or two? Black, White, Hispanic… doesn’t matter. Sure it’s wrong… but it happens. I’ve said a few inappropriate things out loud a time or two thousand myself. Hail… ‘cracka’ was my favorite word after my experience working with a few “bad” White people at The Georgia Lottery! And I meant no disrespect to ALL Caucasians, just the one’s who had secret meetings discussing how to promote their barely educated Caucasian counterparts over several more qualified African-Americans who were due promotions. But I digress. This ain’t about me…. 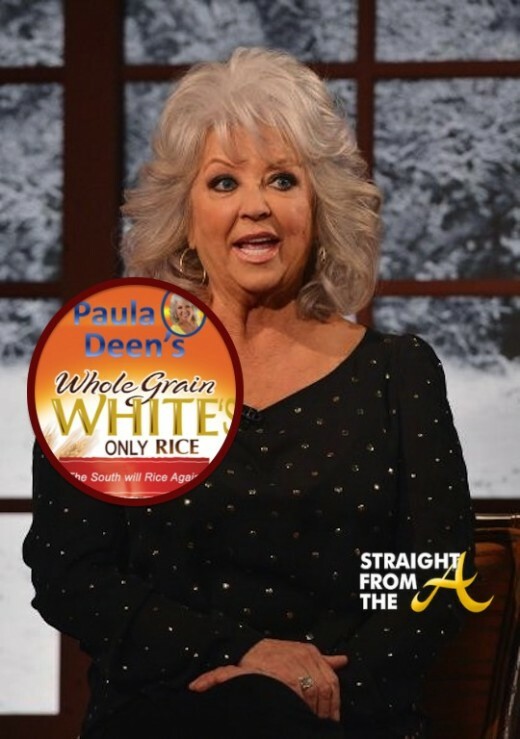 Deen, on the other hand, a woman who publicly cozied up to the likes of Oprah Winfrey (a ‘good’ N-word I presume) with her southern fried dishes handed down from generations of ‘good’ N-words who worked on her families plantation, is now being totally roasted online about her comments.